DOLORES O’RIORDAN is to be laid to rest at a private family burial following a funeral at the Church of Saint Ailbe, Ballybricken, at 11.30am on Tuesday 23 January. The 46-year-old singer was found dead in the Hilton hotel on Park Lane in London on Monday morning. An inquest into her death will take place on 3 April. Father James Walton, Parish Priest of Ballybricken and Bohermore, Co Limerick, in the Archdiocese of Cashel and Emly, confirmed the details of the funeral mass today. He said chief celebrant of the requiem mass will be Canon Liam McNamara, Associate Pastor (retired parish priest), who is a close friend of the O’Riordan family. Chief con-celebrants will be Father James Walton PP, Ballybricken and Bohermore, Archbishop Kieran O’Reilly, Archbishop of Cashel and Emly and Archbishop Dermot Clifford, Archbishop Emeritus of Cashel and Emly. Attendance at the funeral is strictly reserved for extended family and close friends, as the church holds just 200 people. However, a public address system will be set up to facilitate mourners and media in attendance. Limerick’s Live 95FM also intends to broadcast the mass live for its listeners, the Catholic Communications Office said. A public reposal will take place this Sunday, 21 January, at Saint Joseph’s Church, O’Connell Avenue, Limerick, from 12.30pm to 4pm. The remains of Dolores O’Riodan will also repose at Cross’s Funeral Home in Ballyneety, Co Limerick, on Monday 22 January, from 4pm followed by removal at 8pm to St Ailbe’s Church, Ballybricken. 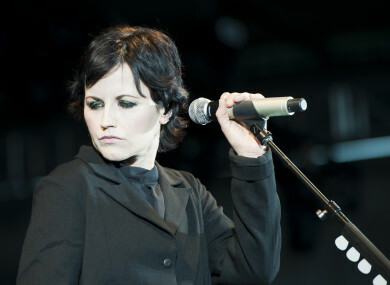 Email “Dolores O'Riordan to be laid to rest in Limerick on Tuesday”. Feedback on “Dolores O'Riordan to be laid to rest in Limerick on Tuesday”.